We want to congratulate all Club Teams, Parents, Coaches, and Players who traveled cross-country for DI & DII AAU Nationals. Preparing a young team for a National tournament requires a high level of commitment, dedication, time, practice and money to make a successful run. In the end, the experience and memories gained from participating in such high level events is one most kids, families, and coaches will never forget. #WCE25 teams had a successful run at AAU Nationals this summer. We wanted to bring an exclusive inside the numbers look at how our teams fared with the hope that the numbers can inspire your organization to plan for an AAU National Trip in 2013. 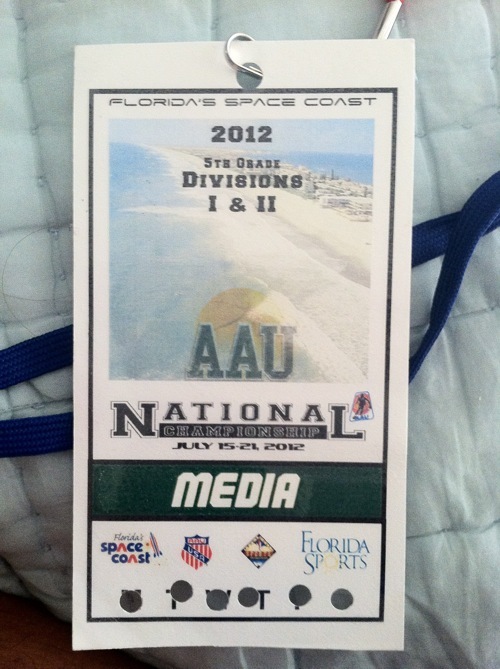 #WCE25 will do its best to again cover AAU Nationals. Special Thank You to Colleen Alden from Florida Space Coast Sports for hosting #WCE25 during 5th Grade AAU Nationals in Cocoa Beach!!!! I also want to thank and dedicate this article to my mother who battled cancer on her last days on this earth and inspired me to always do something Awesome, wife and kids, my special group of long time friends, my staff, supporters, #WCE25 Teams, photographer Apollo, and those crazy parents and coaches who I spent countless hours with in the hotel lobby in Florida!!! Look forward to 2012-2013 Season!